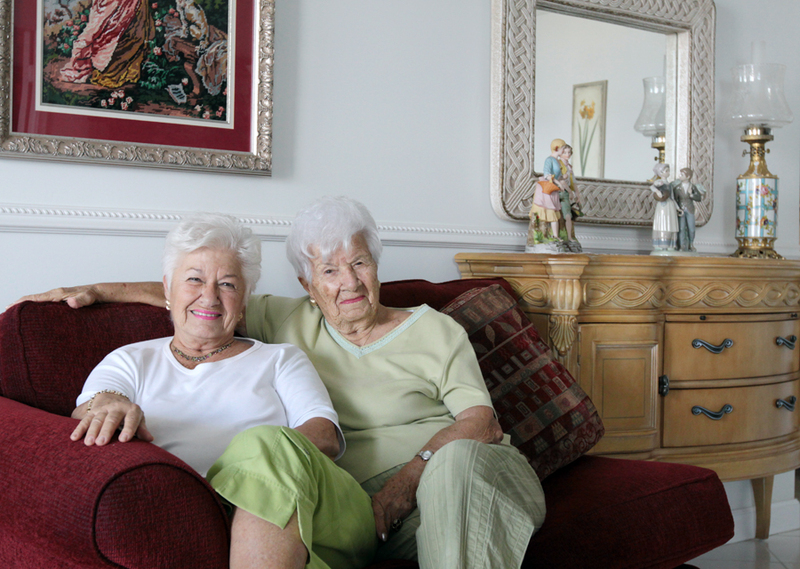 Molly, 77, and her mother Helen, 99, live together in Florida. 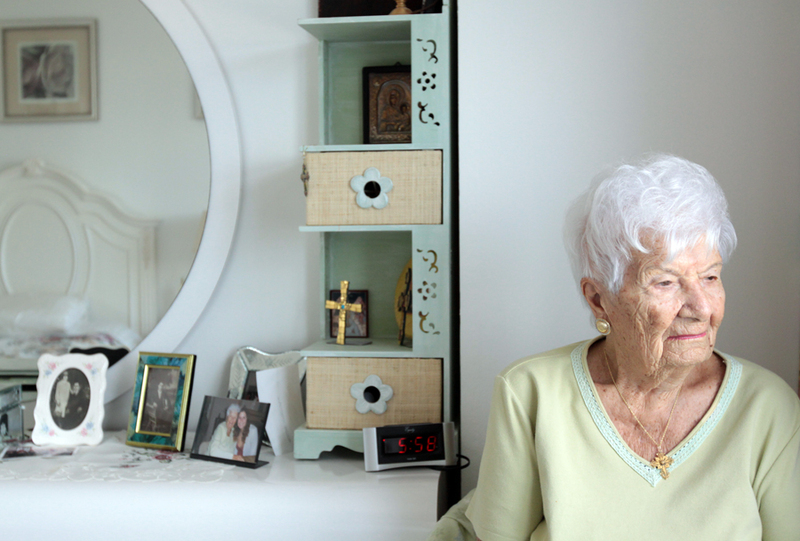 Helen will turn 100 this July, and is mentally and physically in good shape. Helen emigrated to this country from Greece in an arranged marriage at 18 years old. I have been considering doing a photo project on people over 85/90 in excellent shape. Any comments or ideas are welcome. Is this an interesting idea? Do it Meryl, we all need to see images of healthy elders to keep us moving forward optimistically!! Please do it. Hi Meryl, I like this idea. My husband’s grandmother lives in Redmond. Still quilts and is mentally sharp has come back from a stroke and walks unassisted. She’s… I think 93 this April. She grew up in Iowa, but moved out here in the last five years to be closer to her children. Great idea! I have a “subject” for you – my great aunt Helen turned 100 last August. If you’re up for a trip to Montana … she’s amazing! There were two celebrations for her on one day – both had live music and dancing. Aunt Helen was on the dance floor most of the time – at BOTH events. And she can dance! I’ll send you some of the shots I got. Great idea! It will remind us all that life is fulfilling at all ages. Not only when we are young. While I love your family and baby portraits – my absolute favorite’s are of the ol’ folk! I hope you will do it and share the results.